It feels great (like coming home kind of great) to have been more creatively productive recently. I love having a finished project and pattern in my hands, knowing the process it took to get to that moment. Usually I have a whole lot of projects underway at once, with all of them at different stages. We all enjoy the beginnings of a project don't we? Well, I sometimes get a bit stuck in the "exciting beginning part"… the excitement of a new idea and then another one, leads me to patterns half written, designs half stitched, ideas sort of played with then put aside. And that's kind of where I was for most of last year. In recent months though, I've gotten a little strict with myself… its been more about the finishing and less about the beginnings. I'm slowly working though my ideas and bringing them to the finish line. And that makes me happy. In fact, I think its just as exciting as the "exciting beginning part". I wonder if the neighbours saw my little happy dance, when these patterns arrived on Friday. 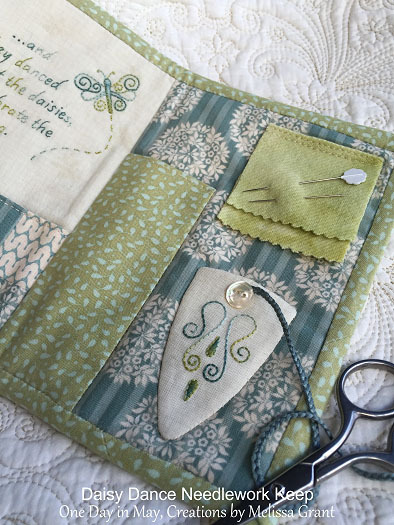 A compact yet pretty way to store and carry your needlework essentials. Finished size ~ approximately 6" x 7 ½" when closed. Late last year I was given a wonderful bundle of Fat Quarters to play with by Two Green Zebras… two beautiful fabric ranges by Tilda named Apple Bloom and Spring Lake. 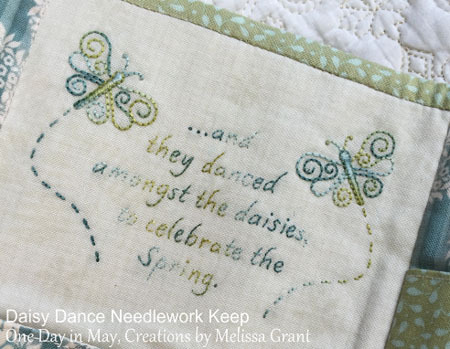 "Daisy Dance ~ Needlework Keep" uses 3 fabrics from the Spring Lake collection, combined with a subtle off white print from the 2014 Bread and Butter range by Lynette Anderson and beautiful woolen flannel and thread from Cottage Garden Threads. All the embroidery in "Daisy Dance" is stitched with just one skein of variegated thread… stranded 210 Tropic Sea by Cottage Garden Threads. 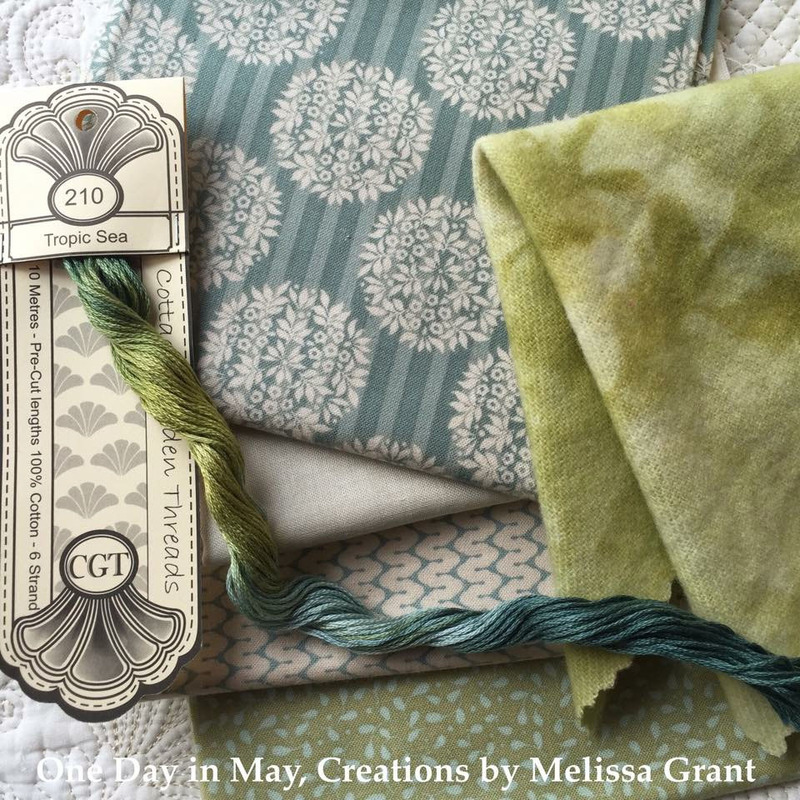 The tones compliment the Spring Lake fabrics perfectly, don't you think? 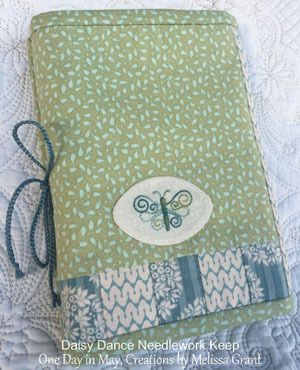 The daisy panel on the cover has the added features of woolen flannel leaves and double-sided fabric leaves. The double-sided fabric leaves are simple to create and are only partly attached to the panel. This allows the leaves to sit up a little from the background and cast a small shadow, giving the panel a dimensional quality. Over time, the leaves also fray just a little, adding another textural element. The daisy panel design is also suitable as a standalone project. 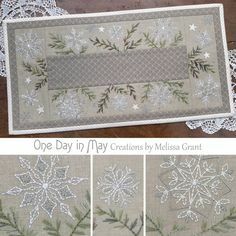 Simply add a border and binding or a small frame. Daisy Dance has a double fold, allowing for 3 panels, inside and out. This means plenty of pockets! Lift the cover and you'll find a large pocket, perfect for a little fabric, notebook or even a small needlework project you're working on. To the right you'll find 6 pockets, perfect for thread storage, no matter the packaging style. 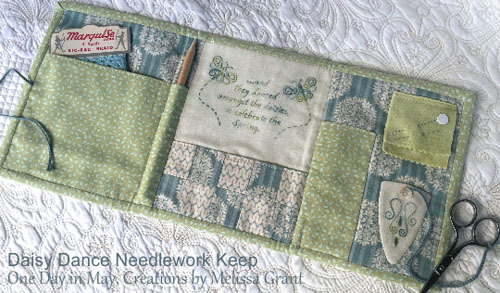 Open the needlework keep completely to reveal more… a home for a fabric pencil and a divided patchwork pocket (under the butterflies) for buttons and other notions. To the right there's another tall pocket for an applique glue pen, small ruler or tapemeasure. There's also a place to attach and store your embroidery scissors and two needlekeeps for your pins and needles. I couldn't leave the back cover plain, so added a little friend there too. 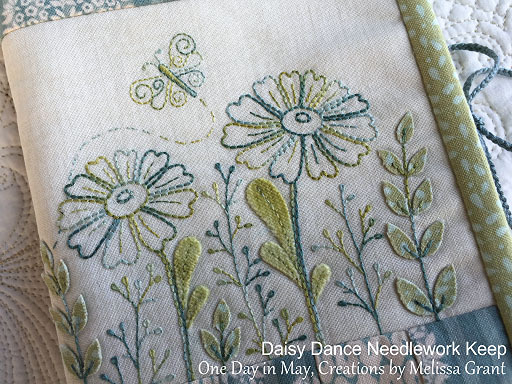 "Daisy Dance ~ Needlework Keep" patterns have begun to arrive in stores. I will edit this post to add stockists as I become aware of them. 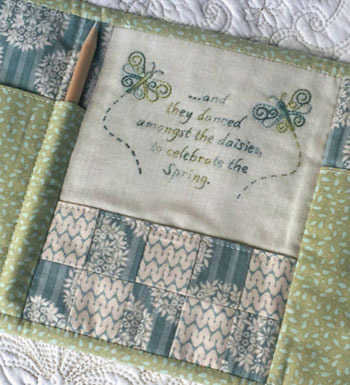 For now, you can purchase a PATTERN or FULL KIT from The Patchwork Tea House. The kit includes all fabric, threads (for embroidery and ties), woolen flannel, fusible stabiliser, fusible webbing, freezer paper, batting and button. Patterns are also due to arrive today at Mrs. Martin's Quilt Shop. Please email or call Karen to order. Patterns are also on there way to Stitches from the Bush. Please email Perri to order. If you are a store and would like to stock "Daisy Dance", please email lori@patternpress.com.au to place an order, as "Daisy Dance" won't be on the Pattern Press website until Helen's return from the US, in late May. As always, the pattern includes full sized pattern sheets and comprehensive instructions, with lots of photos and illustrated detail. I hope you enjoy "Daisy Dance" as much as I have. 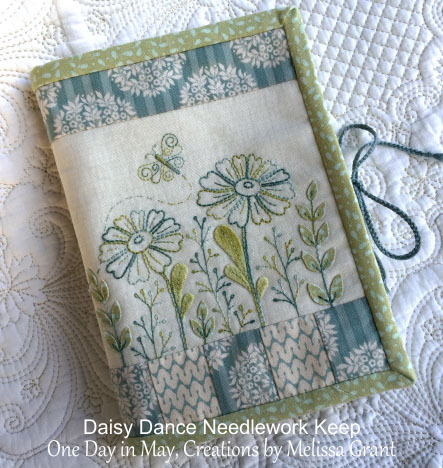 To celebrate the release of "Daisy Dance", I have TWO patterns to giveaway! To enter the giveaway, simply leave a comment on this post. If you feel like it, tell us what kind of neeedlework you enjoy. I'm a bit partial to embroidery. Can you tell? Actually, I do love needleturn applique a whole bunch… and dimensional work…. ok, so I can't choose. National and international entries welcome. Entries close at 10pm on May 11th, Australian Eastern Standard Time. Winners will be drawn randomly on May 12th. ENTRIES ARE NOW CLOSED. WINNERS DRAWN TOMORROW EVENING (May 12th). Am so glad u r back agaon! Love love all of ur patterns etc. i wanted all of it. Butterfly designs are my favorite. Yours are beautiful. I enjoy embroidery and applique equally. 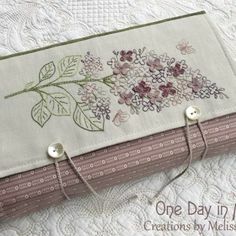 Oh Melissa you have created yet another beautiful embroidery in this needlework keep design, which of course we all should have one of especially ME. My favourite needlework is embroidery and also making quilts all by hand – so therapeutic. Embroidery has come that step further now that we have the Devine Cottage garden Threads. Thank you for this competition. Absolutely love Daisy Dance. It’s just my kind of embroidery pattern. A liitle bit of applique & a lot of embroidery, using my favourite threads. I’ve always got some sort of stitchery on the go. Thanks for the chance to win this beautiful pattern. I love this pattern! I am new to your work and think it’s very beautiful. I would love to win it so I can make one to carry my work in. I love embroidery. I have been doing it for over 20 years. I am getting ready to try needle turn appliqué for the first time. Thanks for the chance to win. 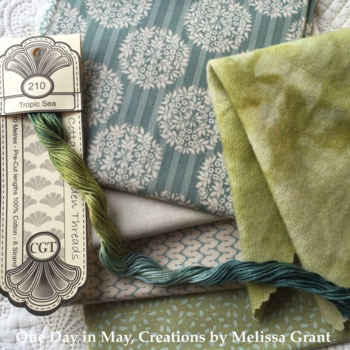 Hi Melissa I just love the pattern, fabric and thread choices. Daisy dance is a great name my mothers name was Daisy. I do stitcheries at night and sew during the day. I am having a real “back to Embroidery time ” at the moment. Really love Cottage threads. Love this pattern. Thanks for the Give a way. This is so beautiful. Embroidery is my pleasure and relaxation and I love it, along with hand appliqué and quilting. Thank you for this beautiful give-aay ! Your needle keep is absolutely gorgeous !!!!! I love it and would be so happy to win !! I like embroidery and also to piece little pieces of fabrics by hand ! My Granny always said, ” Blue with green should never be seen”, but this lovely stitchery keep proves that old saying is not true. I love it. I have, only in recent years, developed a love of needle-turn appliqué and embroidery. All my crafty loves in one small package. Congratulations Melissa. It is beautiful. What a gorgeous design. I love doing stitcheries. I’d say they have to be my favourite. Thanks for the lovely giveaway Melissa. What a gorgeous needlecase. I love embroidery most but do enjoy applique and English paper piecing too. There aren’t enough hours in the day to make everything. I’m a bit partial to back stitch as my other embroidery skills are limited. I’m more of a quilter and I love to combine the two. This needle keep is lovely. Well done. As u know I’ve admired your work for years ! I just love your work. It is so beautiful to look at. 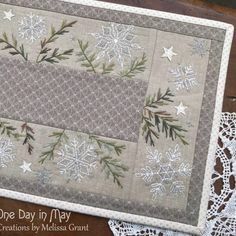 I have one pattern “In a Pear Tree” purchased from Avonleigh Country Quilting when they had yours on display. Like you too I love the excitement at the beginning of a project and am not so good at the finishing. This is my year to finish as many half completed projects as I can. And so far I seem to be doing just that. I love your embroidery. You are very talented, I remember she you started making buttons in your oven at home. Now your embroidery designs are beautiful. Such a talented lady. Hi, I’m a huge fan of embroidery especially with the Cottage Garden Threads. I love sitting with my family stitching away watching television. Your pattern has caught my eye and even if I don’t win a free pattern I’ll be purchasing it a sap. We are so lucky here in Australia to have such talented designers. Please continue what your doing. I love the colours of theCottage Garden Threads and this designs brings them out beautifully. The threads are so easy to use and there isn’t any wastage. 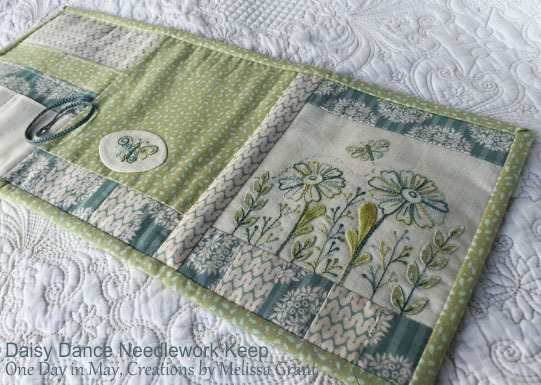 The design of the needle keep is gorgeous and I will love the chance to make this if I win. Lovely design. I love cottage garden threads and vintage designs using simple stitches. I do love embroidery and I am currently trying to teach myself applique and trapunto. That is just gorgeous! I would love to make one for myself, but it also strikes me as a lovely gift for my many stitching friends. Look forward to seeing more of your patterns. Your needlework keep is fantastic. So beautiful, and I would love to have one when I am doing my cross stitch works. Thanks for the opportunity to win one beauty like this. Would love to win this. I dabble in Lots of embroidery types. I love combining stitching with patchwork. I love most types of needlework altho I find myself doing more sewing lately. I love the blue green combination of threads. It reminds me of the beautiful beaches I was one when I visited down under. Melissa–This is a delightful little needlework keep! Love the colors and the mix of techniques. I wish there were more designers in the US doing this kind of thing; I can only think of a couple. Maybe I’m not looking in the right places! Please enter me in the giveaway. To answer your question, my favorite is anything done with a hand-held needle with an eye, except quilting. Lately I’ve been very interested in wool applique, but I haven’t done any yet. I do a lot of stumpwork and Brazilian embroidery as well. Thanks for offering the patterns! I’ve bookmarked your site so if I don’t win one, I can purchase one instead. I have not done embroidery for several years. Your needle keep has inspired me to start again! I am visiting my son in Canada and dreaming of projects to start on my return to Australia. This would be a perfect project. Beautiful design, stitching, and fabrics! The threads are just lovely. I love combining embroidery with quilting. I don’t do much needlework anymore but when I do it would be embroidery. I learned to embroider when I was teenager. 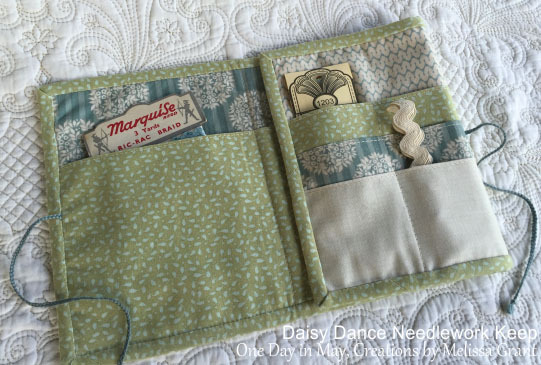 Very lovely needle case. I absolutely adore this pattern. It is the perfect project for me when my baby naps and i need special stitching time! Oh so exquisitely produced and stitched. Your patterns and instructions are a delight and I love the colour way too. 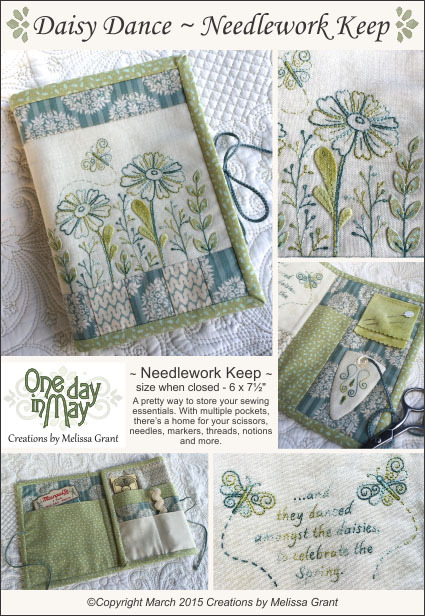 Its such a joy to stitch and I’m setting aside more time to do this starting Monday May 11. Keep up your great work, such a talented lady. Unlike the old saying – Blue and Green should ALWAYS be seen! Very pretty and I love it! I love embroidery, and I do a lot of crewel work. I would love to win a pattern! Thank you for the opportunity! I love embroidery especially on evenweave. Congratulations on another great design. Lovely design once again. The Cottage Garden thread go so well with the Tilda fabric. I love any form of stitchery, applique or hand sewing. Lovely pattern Melissa. Love the different techniques & textures & the sweet little butterflies incorporated in this beautiful needlework keep. I love to patchwork & embroider & am a newcomer to needle turn applique so this would be a perfect place to start! Melissa, thanks for your lovely giveaway!! I just love beautiful Cottage Garden Threads and I use them the most. Embroidery is so much fun!! I also enjoy doing EPP. I do cheat a bit sometimes and embroider using my Janome 9900. How is Hannah these days? What pretty fabric and colour combinations you have designed in the Daisy Dance Needlework Keep, it is so pretty. 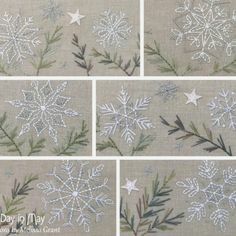 I love Embroiderery and do some every day. Thank you for the chance to win this pretty pattern. Needle-ss to say how beautiful your patterns are, I love embroidery and stumpwork.